We're back with baubles on. We wanted to celebrate the success of The Dead Files this year with a collection of z-tales that are a little out of the ordinary. What better way to end 2012 than with dark stories of the apocalypse and the undead (especially if you buy into that whole end-of-the-Mayan calendar escatological nonsense)? This is our biggest and best collection yet. It skews a little lighter than usual, as we're all about having fun as the skies darken and the air freezes. We introduce new writers in Dead Files 3, including none other than Leading Man Clive Ashenden, who puts a new spin on the idea of giving at Christmas. There's a glut of great new tales from the usual crew. I take a break from the Gates Of Hell universe to introduce you to a man called Stan and how the end of the world doesn't necessarily mean the end of the story. Bart, Laura, Jethro, Sarge and I invite you to snuggle up a little closer to the lights of the Christmas tree and have a poke at the gift we've left there for you. Yes, it's a bit soggy and it's still moving. That's OK. We know you like 'em fresh. 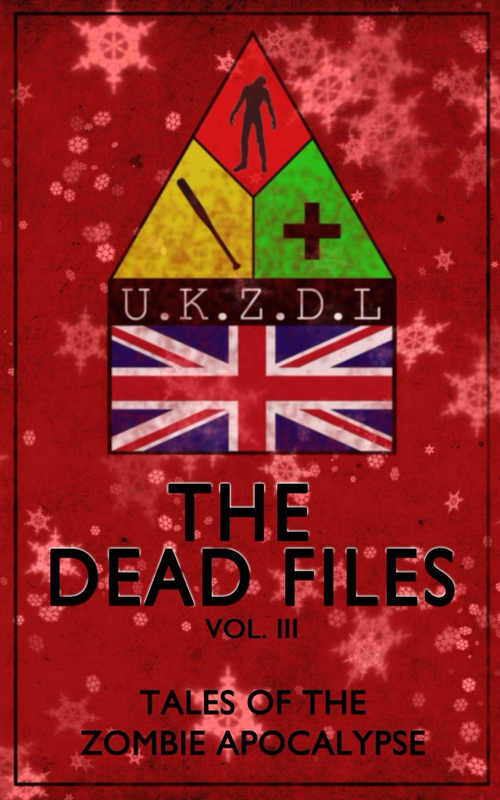 The Dead Files Volume 3: Tales Of A Zombie Christmas is available now through Amazon as a Kindle download and paperback, and on the UKZDL site in DRM-free formats next week. Go fill your stockings.